Convert images to 1-bit black and white. Is there a better alternative to HyperDither? Is HyperDither really the best app in Image Editing category? Will HyperDither work good on macOS 10.13.4? HyperDither is an OS X image processing utility that converts color or grayscale images to 1 bit black & white using a sophisticated dithering routine. Specifically, HyperDither implements the ?Atkinson? dithering filter. Optimized PNG export -- tiny, loss-less files! Several redraw bugs related to the view menu have been fixed. Years ago, during the development of the first Mac, Bill Atkinson (of HyperCard, QuickDraw, MacPaint & now nature photography fame) discovered a very elegant dithering filter to convert greyscale image data to the 1 bit black & white Mac video display. The dithering produced by this routine was much higher quality than the now-a-days ubiquitous Floyd-Steinberg or "Error-diffusion" filter (used by QuickTime, PhotoShop). 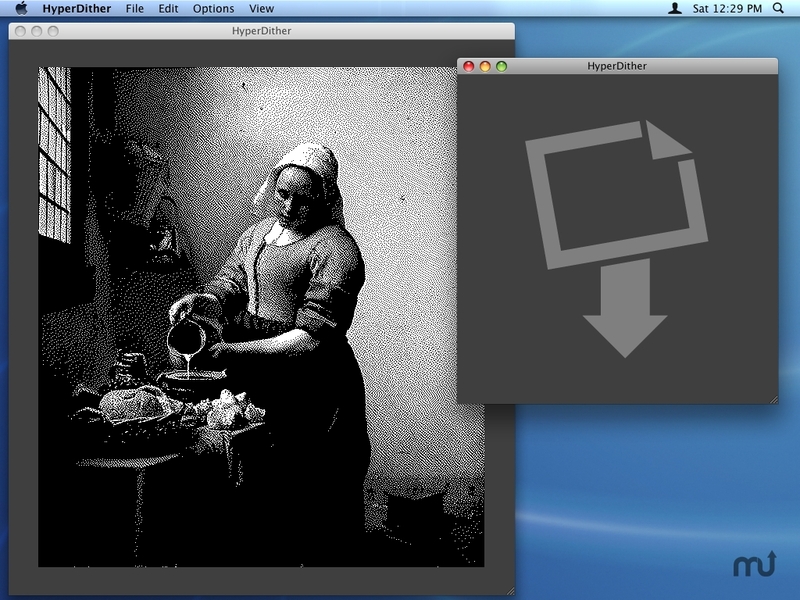 The dither matrix was implemented as an option in Apple's long-lost HyperScan software (A HyperCard stack with some XCMDs/XFCNs) that would connect an early Mac to a flatbed scanner. HyperScan, and hence the most-excellent Atkinson dithering routine, has been unavailable for many, many years - but not forgotten! I was able to email Bill Atkinson in January, 2003 and inquire about the details of the algorithm; he was kind enough to respond with a brief write up of the routine - 15 minutes later I had it up and running. It's taken a few spare afternoons since 2003 to pack everything into a nice little application with documentation and an icon - better late than never!